Simple yet elegant, our bookmark favors are sure to be a hit with your guests. 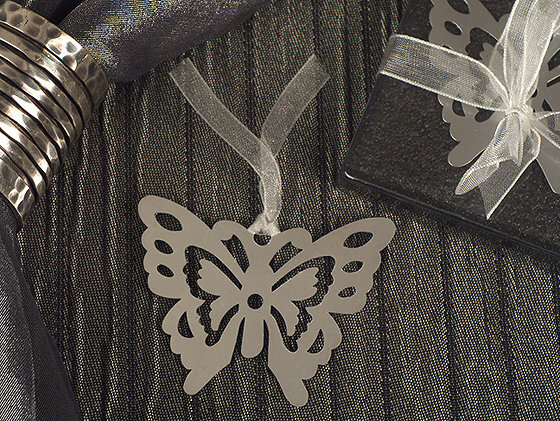 Each silver metal bookmark is in the shape of a butterfly accented with intricate cut out designs and attached to a white organza ribbon. Every time your guests sit to read a good book they will be reminded of you special day. They measure 3" x 2.5" and come finished boxed in a black bottom gift box and an elegant organza ribbon.